Microsoft's $300 million investment will see NOOK brought to Windows 8. Microsoft has teamed up with Barnes & Noble with a $300 million investment that will create a new subsidiary focused on accelerating “the transition to e-reading.” Microsoft will take a 17.6% equity stake in a subsidiary, which is yet to be named, while Barnes & Noble will own the remaining 82.4%. The move will provide Microsoft with its own answer to iBooks, with plans for a NOOK application that will run on Windows 8, and it’ll give users an alternative to the Kindle Store. The huge $300 million investment will include some patents, according to Gizmodo. 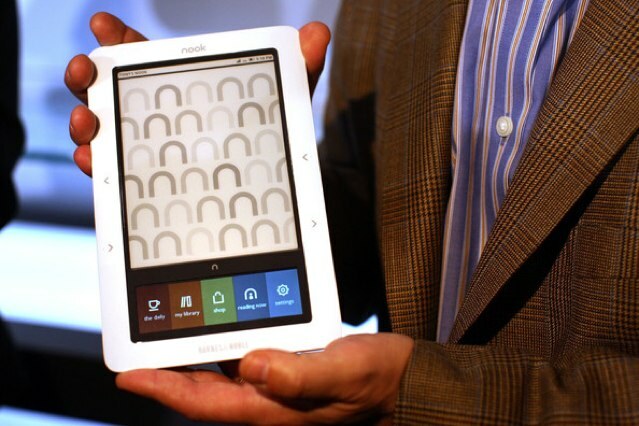 But the biggest attraction for Microsoft will undoubtedly be that NOOK app for Windows 8. The company’s announcement notes that e-books are “revolutionizing the way people consume, create, share and enjoy digital content,” and right now, Microsoft doesn’t have its own platform; the likes of Apple, Amazon, and Google are leading the way. The shift to digital is putting the world’s libraries and newsstands in the palm of every person’s hand, and is the beginning of a journey that will impact how people read, interact with, and enjoy new forms of content. Our complementary assets will accelerate e-reading innovation across a broad range of Windows devices, enabling people to not just read stories, but to be part of them. We’re at the cusp of a revolution in reading. It will be interesting to see what else comes out of the deal, especially if you’re a Windows user.